This weekend, you can stay cool at Festival du Voyageur, see Romeo and Juliet as a ballet or in a kid-friendly theatre production, and hear a Grammy-nominated spoken word artist drop the mic at Queer People of Colour Winnipeg’s latest event. Three of CBC Manitoba’s on-air personalities share their top picks for the Feb. 15-17 weekend. It’s the event you winter-loving Manitobans have been waiting for. 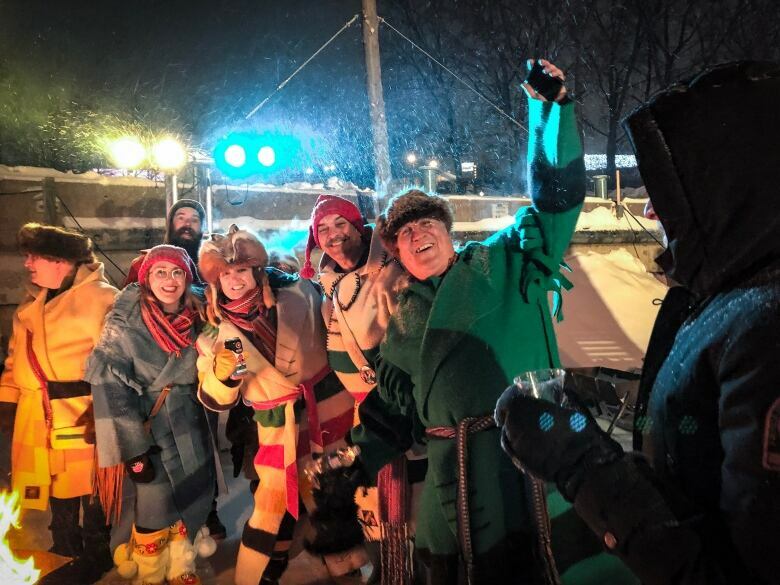 Festival du Voyageur celebrates its 50th anniversary this year. The opening ceremony kicks things off at 7:30 p.m. on Friday, with the festival’s ambassadors recreating the May Ceremony — a voyageur tradition to honour those who can’t be there, and to remember friends and loved ones from along the journey. And of course — there will be fireworks. You can also check out musical acts like Amadians, 3Peat, Kakagi and Dominique Dupuis, an internationally acclaimed francophone violinist from New Brunswick. You’d really be missing out, though, if you missed Ensemble folklorique de la Rivière-Rouge. The local traditional jig and musical dance troupe performs annually at Festival. But this year is special for member Véronique Demers. Demers has never missed a Festival in her 24 years. In fact, it’s where she found her love for violin when she was watching performers as a child. Now studying to be a doctor in Ottawa, she’s made the trip back to Winnipeg for the 50th anniversary. 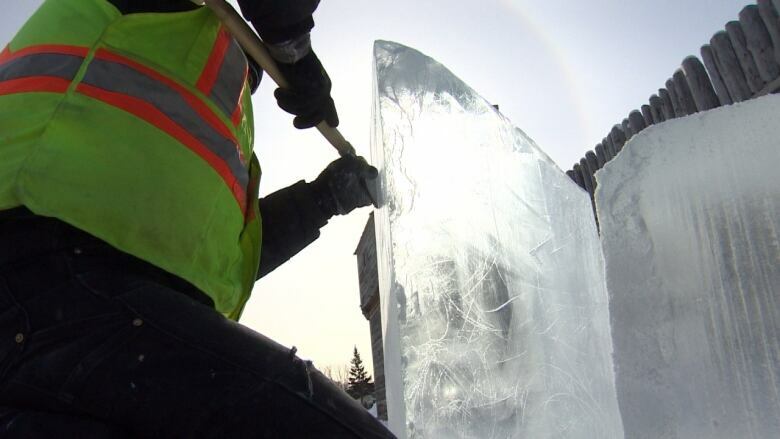 Between shows, you can grab a drink at Festi-Bar on Ice, the frozen bar on the Assiniboine River. And yes, as always, you can also pour syrup onto snow and eat cold sugar off of a stick. Single daily tickets range from $5 to $25, depending on your age. You can get those online. If you are still feeling in the mood for romance (or a good cry) post-Valentine’s Day, a classic tale of love and loss may be just the ticket. Shakespeare’s star-crossed lovers are taking to the stage this weekend in two separate productions. For those yearning for a classic, the Royal Winnipeg Ballet will transport you to 16th-century Verona, Italy for Romeo and Juliet, a ballet based on Shakespeare’s famous play, with Sergei Prokofiev’s music performed by the Winnipeg Symphony Orchestra. The RWB’s 125-minute production is on at the Centennial Concert Hall Thursday through Saturday at 7:30 p.m., with the final show 2 p.m. on Sunday. Tickets are available online or by calling the RWB box office. For those looking a twist on the iconic tale, Manitoba Theatre for Young People is presenting What if Romeo & Juliet…, a show from Montreal’s Dynamo Théâtre. 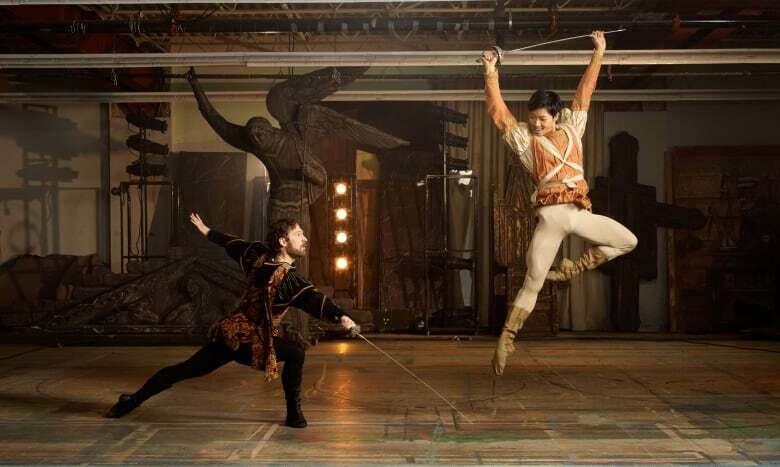 This version tells the story of the feud between the Capulets and Montagues through acrobatic dance and asks the question — does Juliet and Romeo’s story have to end in tragedy? The show runs 60 minutes and is suitable for ages nine and up. What if Romeo & Juliet… opens Friday night and runs until Feb. 24 at at MTYP at The Forks. You can catch the show this weekend at 7 p.m. Friday, 4 p.m. on Saturday, or Sunday at 1 p.m. and 4 p.m.
Next weekend, there’s a French-language performance on Feb. 23 at 4 p.m., and English-language performances Feb. 24 at 1 p.m. and 4 p.m.
Tickets are available through the MTYP website or at the theatre. Friday night, Queer People of Colour Winnipeg will be hosting the ninth edition of QTPOC Drop the Mic. The headliner of the evening will be Atlanta-based, Grammy-nominated spoken word artist Queen Sheba. Sheba’s poetry chops have been flexed and recognized in competitions around the world, including the National Poetry Slam in the U.S. The event’s organizers encourage queer, trans, and two-spirited self-identified black people to sign-up to share their performance art in a five-minute window. Artists interested in performing can slide into QPOC’s DM’s at @qpocwinnipeg on Instagram, or e-mail qpoc204@gmail.com. QTPOC Drop the Mic #9 is an all-ages event happening at the X-Cues Cafe & Lounge, located at 551 Sargent Ave. in Winnipeg, on Friday, Feb. 15, from 6 to 9 p.m.
Cover is $10 and tickets are available online, but organizers say no one will be turned away due to lack of funds. Starting at 10 p.m. in the same venue, the open mic will be followed by the 18+ event, the QTPOC Black History Month Dance Party, featuring DJ Jordan and Petty Wap.